MFI have been leaders in service body design for 15 years. Our commercial body designs are as tough as they come without breaking the bank. Every design is an innovation, created to make your life on the road easier and safer. And when we say customisation we don’t mean modular options. We mean we create a design to best suit your needs. MFI isn’t a retailer — we don’t sell bodies nor do we install premade components. Instead, every project starts with a unique design and ends in a unique service body for the client. The quality of our work is a great source of pride. The design and building of the commercial body are done in-house in Australia. This allows MFI’s designers to have full control over the quality of our work. So whether it’s commercial, recreational, or emergency services, there’s no better solution and no better value than an MFI Service Body. Commercial service bodies for utes are our speciality. For fleet, trade, or the mining industry, or for trays, truck bodies, or van fit-outs, our design experience and fabrication expertise will ensure your maximum safety, efficiency and value. 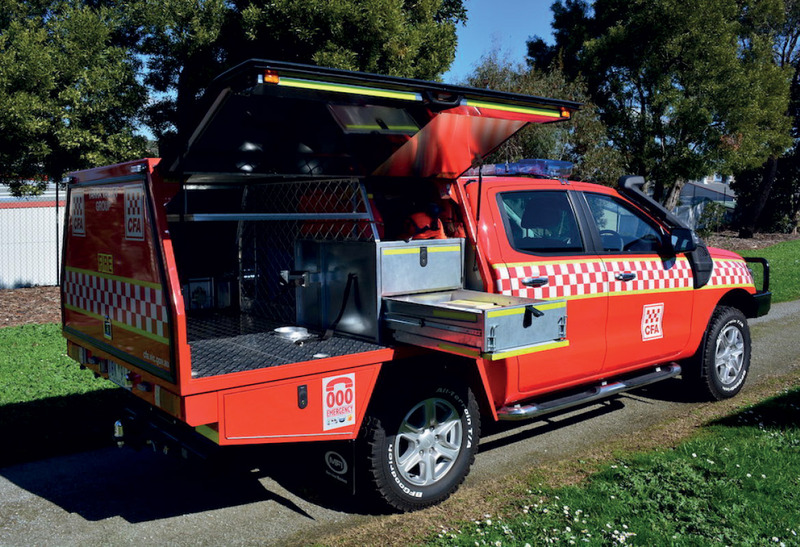 MFI is privileged to support Emergency Services organisations with their design ingenuity and build quality. The MFI difference is the ‘one stop shop’ solution; all emergency lighting, communication, logos, livery and sign-writing are completed in-house at MFI. Off-road touring and camping calls for tough practical solutions. MFI RV bodies are built to the same demanding standards as your vehicle. As a commercial service body company, MFI can offer an exclusive range of options and accessories to ensure your off-road adventures stay on track. The MFI range of accessories is extensive. It includes solutions for every storage or organisational need for commercial service bodies. And the Gentili G2000 Harrier ladder rack solves serious OH&S consideration. If you carry ladders, you need Gentili. From the mining trade to the 4WD market, MFI can craft a custom service body that is tough and functional. We do not stop at making good looking fleets or recreational vehicles; we make sure that they are ergonomic and exceed safety and legal standards. Our custom ute bodies are strong, lightweight and designed for weather and dust exclusion. Whether you need a vehicle that runs well in the suburbs or the Simpson Desert, MFI Service Body delivers. With our custom service body’s efficient design spaces and smart storage solutions, we drive our clients’ businesses forward. Whether it’s commercial, recreational, or emergency services there’s no better solution and no better value than an MFI Service Body.